Court Diversion is a local community justice program that began in the late 1970’s to divert minor offenders out of the court system. The program’s success was so great that the Legislature made it a statewide option for youth, and in 1982 the program was expanded to include adults. (3 V.S.A. §163 & §164) In 2000, the Legislature charged court diversion programs with administering the Teen Alcohol Safety Program, known as TASP. (7 V.S.A. §656). Court Diversion follows a balanced and restorative justice model: putting right the wrongs that have been done by addressing the needs of all stakeholders, including the victim, the community, and the offender. Diversion clients have been charged with a criminal offense but are not adjudicated. The State’s Attorney refers individuals to the county diversion program. The majority of diversion clients are charged with misdemeanors; typical violations are disorderly conduct, simple assault, larceny, retail theft, unlawful mischief, alcohol and marijuana violations, and bad checks. Community members on review boards meet with clients to develop contracts that address the particular offense and the underlying reasons for the client’s actions. Victims have the opportunity to voice their opinion, and contracts may require clients to pay restitution, participate in counseling or substance abuse treatment, write letters of apology etc. Participants accept responsibility for violating the law and work to repair the harm they caused and, if successful, do not end up with a criminal record. Participation in the program is voluntary. Upon successful completion of the program, the state’s attorney dismisses the case. Two years later, the Court orders the sealing of all records related to the case. If an offender does not complete the terms of the contract, the case is returned to court for prosecution. 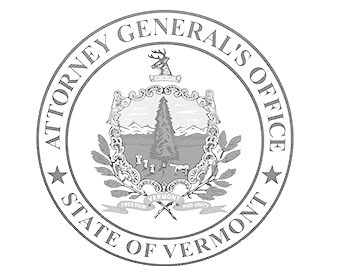 Youth who violate Vermont’s underage possession and consumption of alcohol laws (7 VSA §656 and §657) are referred by law enforcement to the Teen Alcohol Safety Program run by the court diversion program in each county. Participants pay a fee, meet with a qualified substance abuse counselor for a screening or assessment (and must follow the recommendations of the counselor), and may participate in an educational program and perform community service. If an individual fails to complete the contract, the ticket is sent to the Vermont Judicial Bureau, which levies a fine and informs the Department of Motor Vehicles, which suspends the individual’s driver’s license. For more information, click here for the YSASP web site. Each county in Vermont has a Diversion program run by a local, private non-profit organization. Programs are funded by a state grant administered by the Attorney General’s office, client fees, town appropriations, grants, private donations, and United Way allocations. Each program is a member of the Vermont Association of Court Diversion Programs and work together and with the Court Diversion director to promote community-based balanced and restorative justice through effective and creative program services. For a listing of local programs and links to their web sites, click here.